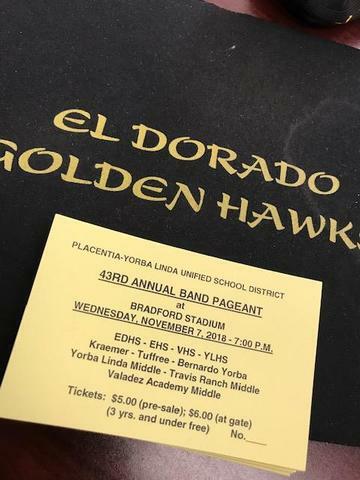 See El Dorado and other district band and color guard perform on one night. The show begins at 7:00pm (get there early!) and tickets are only $5 if you get them from Mr. Samson or a band member. Fill the NEST!! Dress warm and get loud for our EDHS Band & Color Guard! !